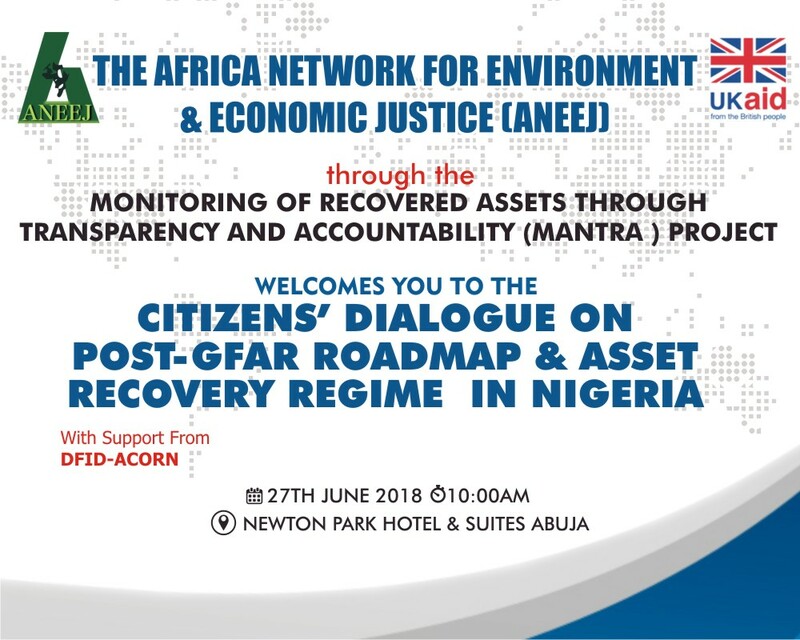 The Africa Network for Environment and Economic Justice, ANEEJ, has held a CSO Dialogue on Asset Recovery in Abuja, Nigeria, 27th June, 2018. 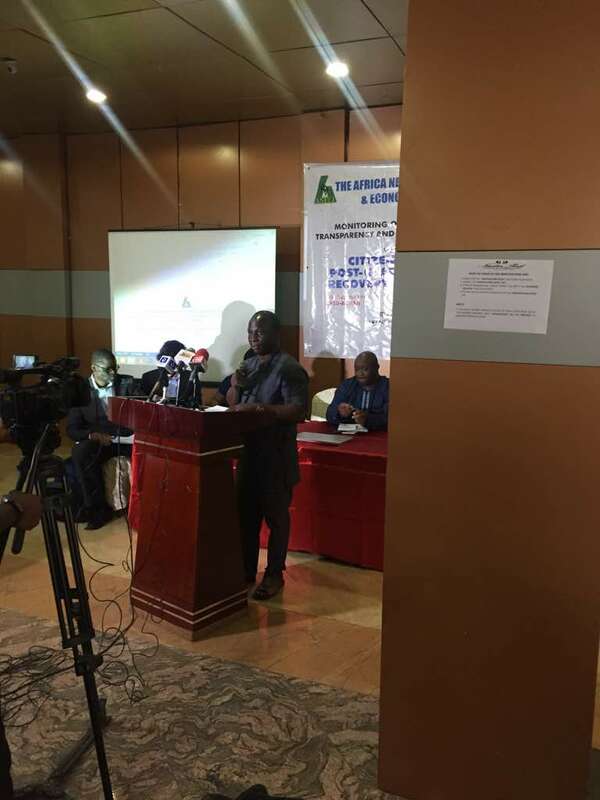 The purpose of the CSO Dialogue on Asset Recovery included raising of awareness of the public on the outcome of GFAR, to reach a common understanding common understanding on how Nigeria can take the commitments made at GFAR forward and to clarify stakeholders’ role in meeting the commitments made at GFAR. Participation at the event included representatives of the DFID, the Federal Ministry of Justice, OGP Secretariat, Ministry of Foreign Affairs, Anti-corruption Agencies, CSOs from different parts of the country, Journalists, National Assembly, Development Partners including the World Bank Group. 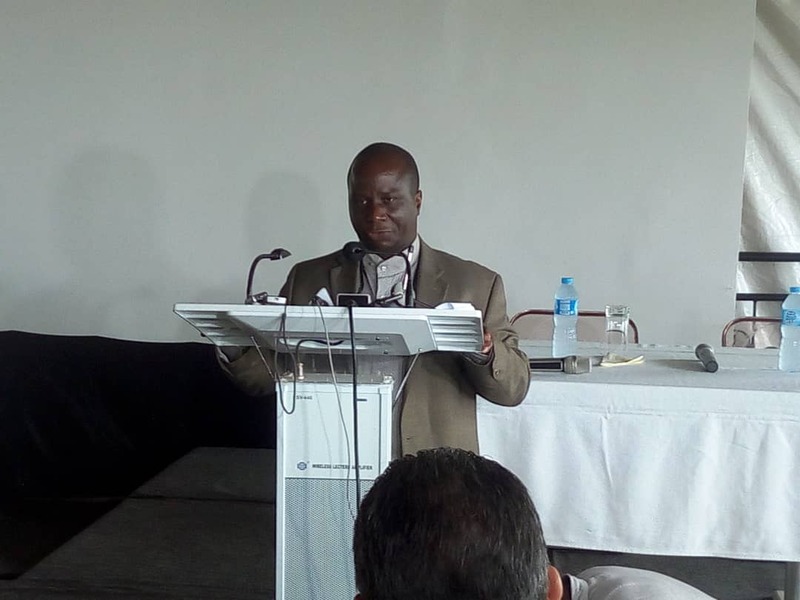 In a statement the Rev David Ugolor said that ‘it is particularly in accordance with Principle 10 that ANEEJ has, through its Monitoring of Recovered Assets through Transparency and Accountability (MANTRA) project, convened this dialogue. At this strategic moment, it is important that we seize on the momentum provided by these global initiatives to chart a course for legal, institutional and broader reforms in asset recovery and utilization in Nigeria’. 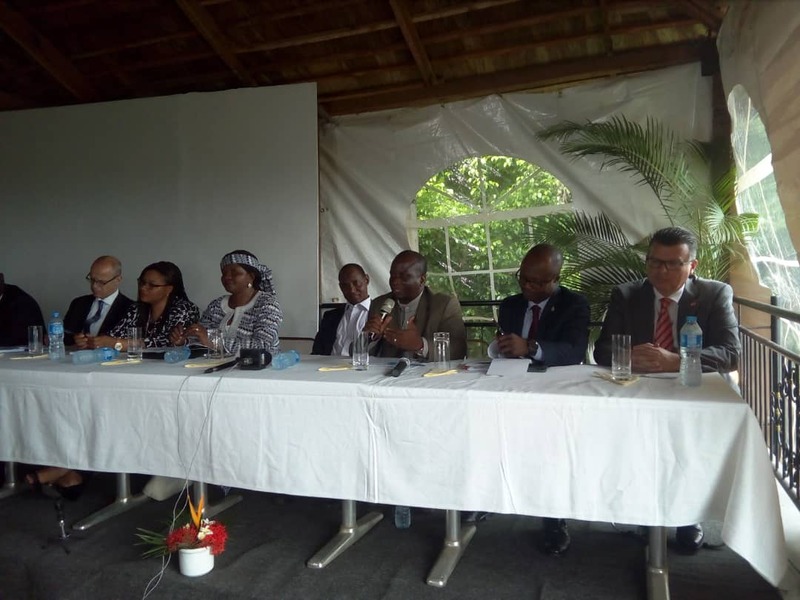 In a related event at the residence of the Swiss Ambassador, the Rev Ugolor said that a relationship with the Swiss government is relevant to building a collective consensus around issues of asset recovery. He maintained that here is need for transparency & accountability in the return and management of recovered assets. He appealed to NCTO to engage CSOs in the transfer process to beneficiaries. In a response, the Swiss Ambassador to Nigeria Mr. Eric Mayoraz disclosed that his country Switzerland was in possession of $1billion (One Billion Dollars) looted by the Abacha Junta. Both events, (the CSO Dialogue session and the meeting with the Swiss Ambassador) are in furtherance of the DFID-ACORN supported Monitoring Recovered Assets Through Transparency and Accountability, MANTRA Project. Copyright © ANEEJ Africa Network for Environment & Economic Justice. The contents of this site are copyright protected.